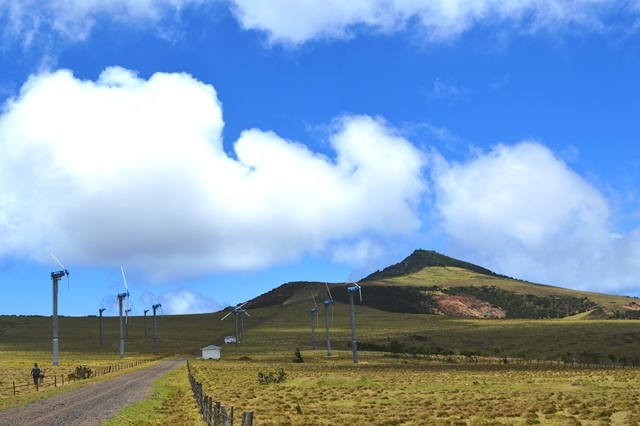 The installation of three 80kW wind turbines manufactured by Lagerway in the 1990’s was St Helena’s introduction to the world of renewable energy. The early years were a bit traumatic due to reliability issues not helped by the supplier going into Liquidation. Many people ask why bigger turbines were not specified. There are a number of reasons all relating to the logistics of transporting to the island, the limitations of the ships cranes, the windy roads and availability for on island cranes of sufficient size for construction. 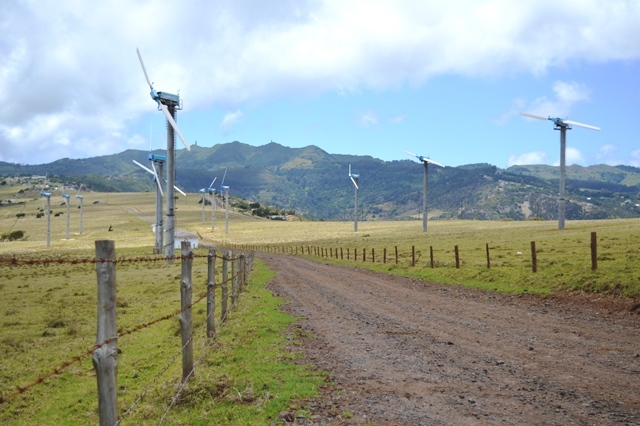 In 2009, having now engaged with WES (who had taken over the failed Lagerway business) an additional three wind turbines were purchased, the original three overhauled and through a robust maintenance program wind started to play a part in St Helena’s energy mix. April 2014 saw the doubling of the fleet with twelve wind turbines now operational. The graph below shows how wind has become a more reliable contributor.